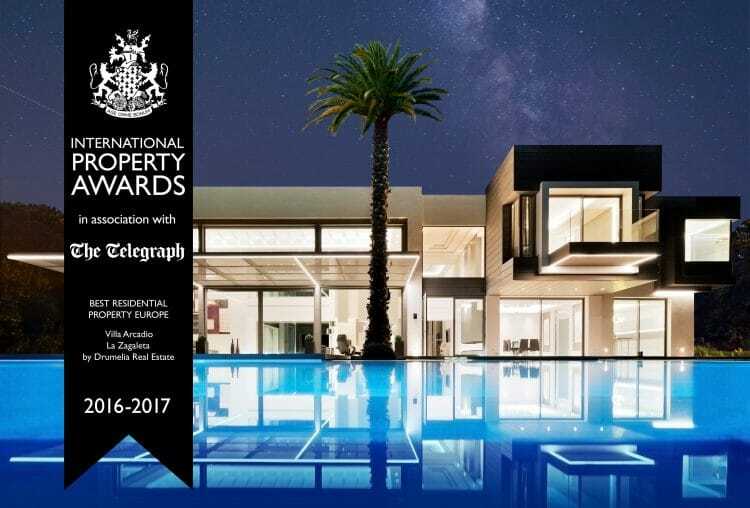 We are celebrating a double success after being announced the winners at the prestigious International Property Awards which honour the highest levels of achievement by companies operating in all sectors of the property and real estate industry. The objective of these awards is to recognise excellence in the property industry worldwide and to promote an international standard. The finest developers, architects, interior designers and heads of real estate companies from Africa, Asia Pacific, Arabia, Canada, Caribbean, Central & South America, Europe, UK and USA gathered in London for the announcement of the winners in the highly sought and hotly contested Property Awards in each of the categories from every world region. Then the highest-scoring winners from each region entered into the overall International Awards, which ultimately should determine the world’s finest property companies. The grand event was sponsored by a National British daily newspaper The Telegraph, the official airline partner Emirates, the UK provider of project information for the construction industry Glenigan, media partners International Property & Travel and Home Square. The competition is traditionally judged by an influential panel of 80 industry professionals, with a focus on design, quality, service, innovation, originality, and commitment to sustainability and eco- friendliness. The high-calibre international judges are totally independent, experienced members across a wide range of disciplines and property- related specialists donated their time and expertise free of charge considering it an honour and a privilege. The judging panel is chaired by the members of the House of Lords in the UK Parlament – Lord Caithness, Lord Best, Lord Liverpool and Lord Thurso. Drumelia Real Estate entered into the European International Awards as the highest-scoring National Winner in Spain with the ultra-modern architectural jewel Villa Arcadio (G-22). The best companies of Europe were competing for the first place and the awards which were presented in association with Bloomberg Television and Google forming part of the International Property Awards. Our company promised to represent Spanish real estate business to the greatest extent possible. And we managed! 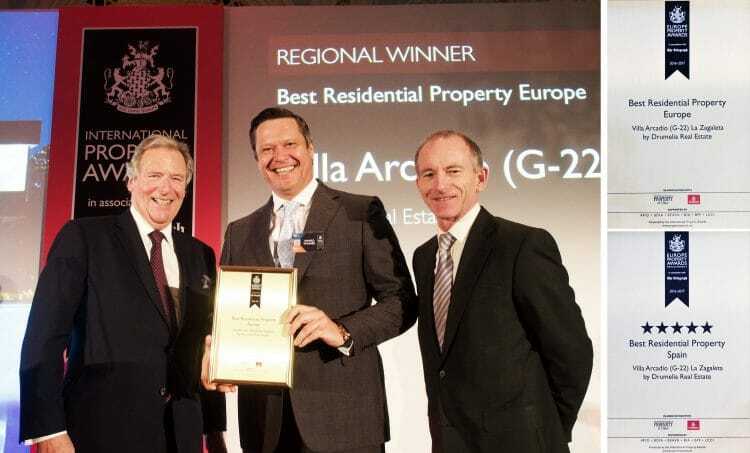 Drumelia Real Estate scooped the award Best Residential Property in Europe. The very respectable jury of experts identified contemporary style Spanish Villa Arcadio (G-22) as the most significant building project of the whole continent, confirming that the project had achieved its goal to integrate aesthetically pleasing aspects into the overall design allowing the owners of the outstanding villa to live in the modern era where minimalism is a fashion, comfort is a plus and the combination of architectural materials means elegance. 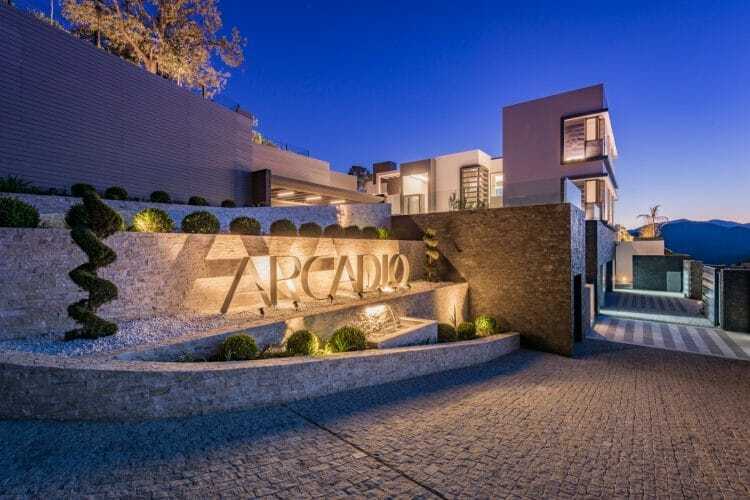 This luxury 6-bedroom high-end villa Arcadio (G-22) nestled in La Zagaleta, one of the most exclusive, beautiful and sought-after residential areas of Southern Spain was designed to impress, and so it did when it became the winner of top industry award in Europe! It is this villa of all others that has been selected to represent Europe at the most important final stage of the competition – Grand Final that determines which property becomes the best one in the world. If you would like to find out more please click here. And this is what makes us so proud of the professional achievements and significant accomplishments of Drumelia Real Estate. We are happy to share this great news with our followers and friends and would like to thank everyone for the great support and specially those who took part in this important project with us. We look forward to continuing our commitment to all of the company’s clients and collaborators with excellence in the coming year. Have a wonderful holidays and a very happy and successful New Year 2017!